Robert Redford hasn’t exactly been shy about his passionate, progressive political commitment over the years. So why does it seems so hard for him to make movies about passionately committed people in which you can actually feel some sort of passionate commitment? In this workmanlike adaptation of Neil Gordon’s novel, Redford stars as an Albany, N.Y. attorney named Jim Grant, recently widowed and raising a young daughter on his own. But when former long-fugitive member of the radical 1960s Weather Underground movement Sharon Solarz (Susan Sarandon) is caught by the FBI, local reporter Ben Shepard (Shia LaBeouf) uncovers a secret: Jim Grant once went by the name of Nick Sloan, who was implicated in the same botched bank robbery for which Solarz was wanted. So, Grant/Sloan is forced to go on the run, with both Shepard and law enforcement trying to figure out where he’s headed. For a little while, it seems as though Redford and screenwriter Lem Dobbs are going to connect the collapse of the newspaper industry to Sloan’s story. We hear plenty about the financial struggles of the paper that employs Shepard, and the shaky methods Shepard employs to get a potentially huge story. Maybe The Company You Keep will find a way to juxtapose an ever-more-cynical, ever-more-desperate news media to the long-ago idealists represented by Solarz, Sloan and their colleagues. 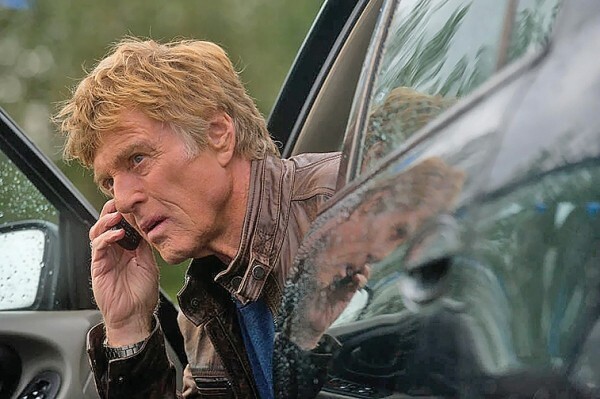 Instead, Redford takes what could have been either a tense thriller or a compelling drama about aging activists, and turns it into a plodding tour through the talents of his impressive supporting cast. Here’s Sarandon getting exactly one solid scene during an interview with Shepard! Here are Richard Jenkins and Nick Nolte as a couple of Sloan’s old running buddies from back in the day! Here’s Julie Christie as Sloan’s one-time lover, and Chris Cooper as his brother! Here’s Brendan Gleeson as a retired cop who may be harboring some secrets! Will they play their respective scenes as somber? Or serene? Or maybe—you know, just as a change of pace—sedate? Perhaps that inability to find a crackle of energy in this story comes down to Redford as an actor as much as it comes down to Redford as a director. He has always found his greatest roles as icons rather than deeply complex men, and in The Company You Keep, he’s playing a guy trying to justify giving up the more openly confrontational activism of his youth, while still retaining his basic values. Yet it’s hard for him to seem like anything but a mouthpiece for one side of a philosophical debate, particularly in his scenes with Christie as a woman whose ferocious approach to living her principles hasn’t dimmed in more than 30 years. Where that central scene might have showcased a compelling clash of fundamental approaches to how you change the world, it plods along in a way that makes it feel like a PowerPoint presentation. That leaves LaBeouf’s story line to bring some vitality to the proceedings, whether in his sparring with an ex-girlfriend who serves as his FBI informant (Anna Kendrick), or vaguely flirting with the daughter of Gleeson’s character (Brit Marling). And, unfortunately, LaBeouf’s cockiness comes off mostly as dickishness, even when we see that he’s supposed to be learning an important lesson about journalism as something that’s supposed to serve the public good. No matter how many scenes Redford includes of himself sneaking around trying not to get caught, there’s not a speck of intensity to a story about people wrestling with the consequences on others of their moral choices. They could just as easily be deciding on a brand of toothpaste.